*** A MUST SEE PROPERTY - RING TO ARRANGE A VIEWING ***An attractive late Georgian double fronted village house, beautifully refurbished with characterful and spacious accommodation arranged over three floors and set within walled gardens in a highly popular and well serviced village with ease of access to York. EPC RATING:C. Mileages: York  9 miles, Easingwold  6 miles (Distances Approximate). Attractive late Georgian double fronted village house, beautifully refurbished with characterful accommodation arranged over three floors and set within walled gardens in a highly popular and well serviced village with ease of access to York. 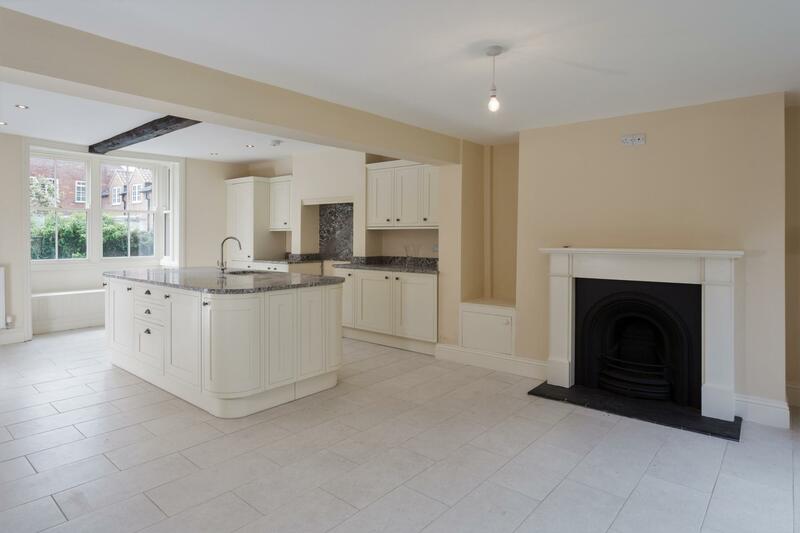 LPG Gas Central Heating, Double and Single Glazed Sliding Sash Windows, Bi-Folding Doors, Oak Flooring, Wood Burning Stove and quality fittings to the Kitchen and Bathroom Suites. 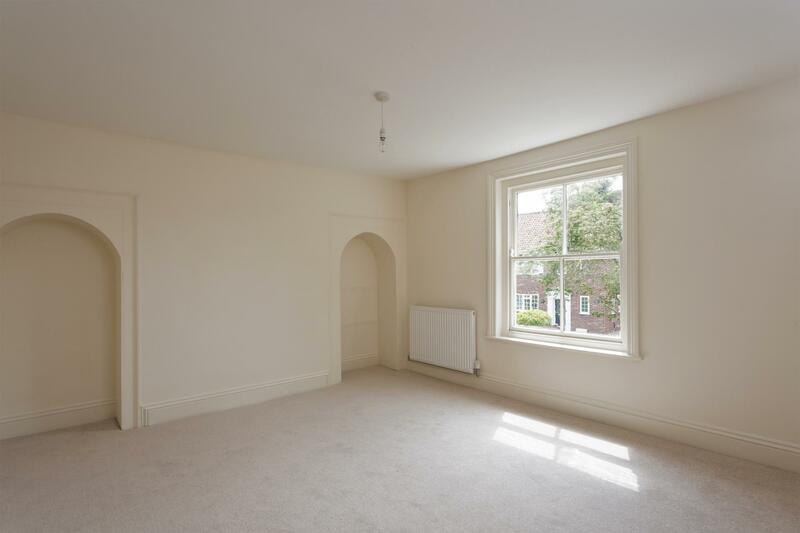 Reception Lobby, Sitting Room, Living Kitchen, Rear Lobby, Cloakroom/WC. First-Floor Landing, Laundry Room, Master Bedroom En Suite Shower Room, Guest Bedroom En Suite Shower Room, 2 Further Bedrooms, Family Bathroom. Second- Floor, 2 Further Bedrooms and Shower Room. 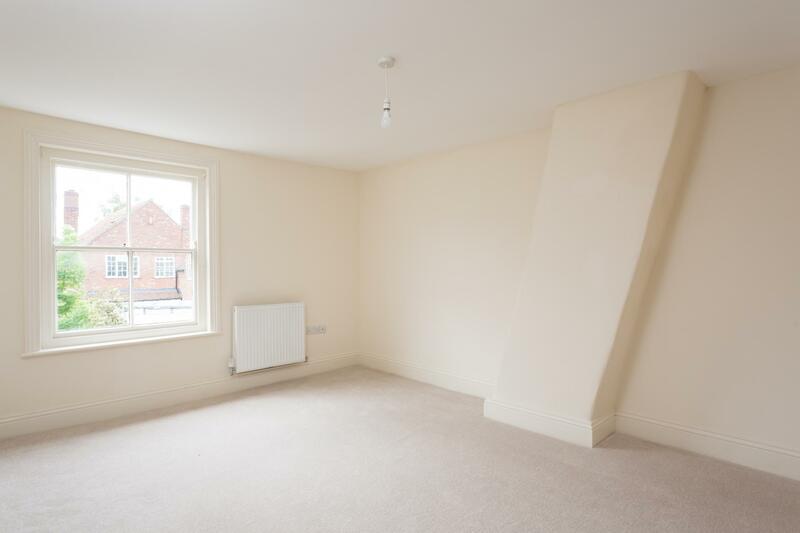 Driveway and off-road parking, Attached Garage, Walled Landscaped Gardens. Six panelled ENTRANCE DOOR with glazed over light opens to staircase RECEPTION HALL, tiled floor. 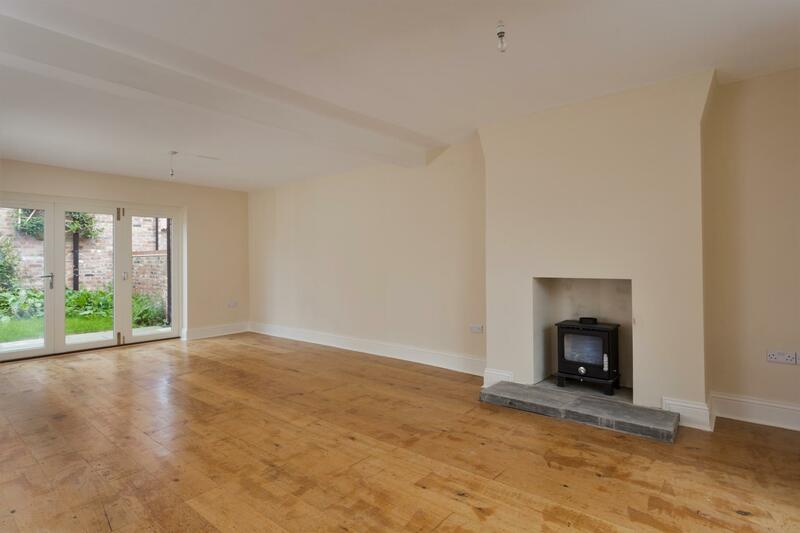 SITTING ROOM/DINING ROOM, A through room having a square bay window enjoying a southerly aspect, window seat, fireplace having cast wood burning stove, polished oak floor, Bi-Folding doors to private walled gardens. LIVING KITCHEN with DINING AREA, Comprehensively fitted with a range of cream shaker style fittings, comprising cupboard and drawers complimented by granite preparatory work surfaces, integral refrigerator, freezer, space for free standing range cooker with granite splash and extractor, central 8 ft granite island having cupboard and drawers under with curved corner cabinets, dishwasher and 1½ ceramic bowl sink unit with swan mixer tap, central ceiling beam, square bay with window seat enjoying a southerly aspect. 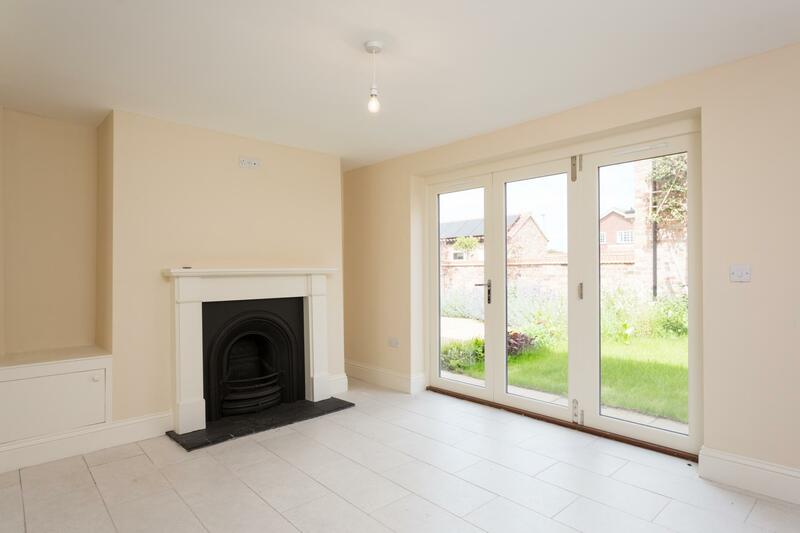 DINING AREA, with attractive cast fireplace sett within a carved Adam style surround with adjoining cupboards, tiled floor, Bi-Folding doors open onto the walled gardens. REAR RECEPTION LOBBY, tiled floor, panelled and glazed rear access door. CLOAKROOM, white low suite WC, wall hung wash hand basin. From the staircase lobby, stairs with handrail lead up to the first-floor landing. LAUNDRY ROOM, stainless steel sink unit, side drainer, cupboards, space and plumbing for a washing machine, wall mounted central heating boiler. MASTER BEDROOM, Sliding sash window enjoying a southerly aspect, built-in wardrobe cupboard. EN SUITE SHOWER ROOM, fully tiled walk in double shower cubicle, wall hung wash hand basin, low suite WC, tiled floor, heated towel radiator. GUEST BEDROOM, Sash window, enjoying a southerly aspect, chimney breast flanked by arched alcoves. EN SUITE SHOWER ROOM, corner shower cubicle with full height tiling, wall hung wash hand basin, low suite WC, heated towel radiator. BEDROOM 3, Sliding sash window overlooking the walled gardens. 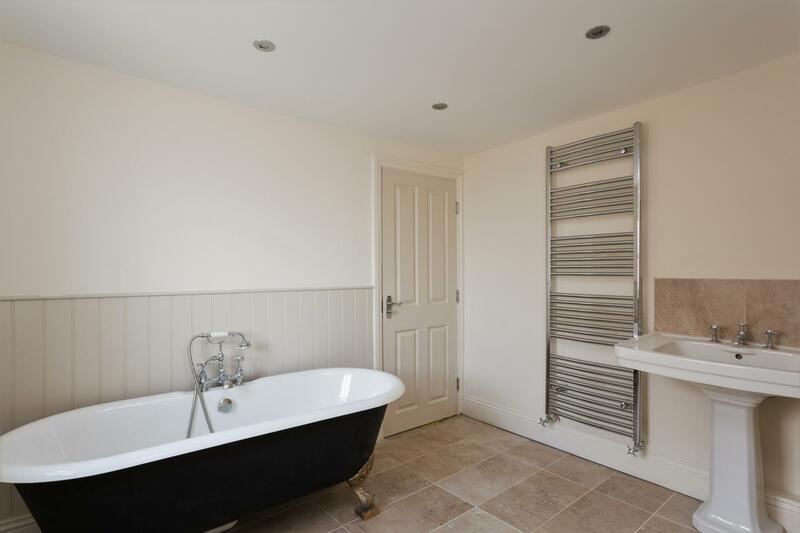 FAMILY BATHROOM, with part panelled walls, claw foot cast roll top bath with hand held shower, wash hand basin, heated towel radiator, low suite WC and tiled floor. From the landing, stairs with a spindled balustrade and handrail rise to the second-floor landing, exposed purlins. 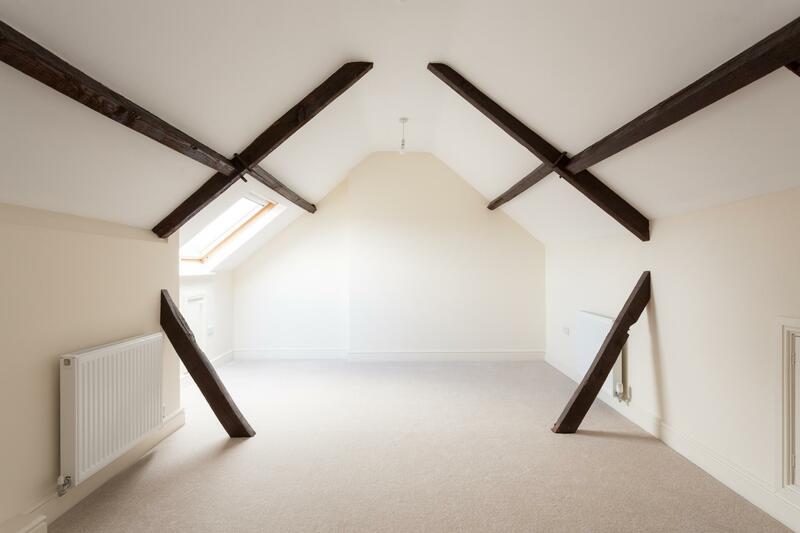 BEDROOM 4, A characterful room having exposed rafters and purlins, double glazed Velux roof light with blind. BEDROOM 5, Exposed purlins and rafters, double glazed Velux roof light. SHOWER ROOM, Fully tiled shower cubicle, wall hung wash hand basin, low suite WC, tiled floor, heated towel radiator. OUTSIDE Railed forecourt, Gravelled driveway with turning area leading to an Attached GARAGE, (15'6 x 9'6) with remote up and over door, light and power. 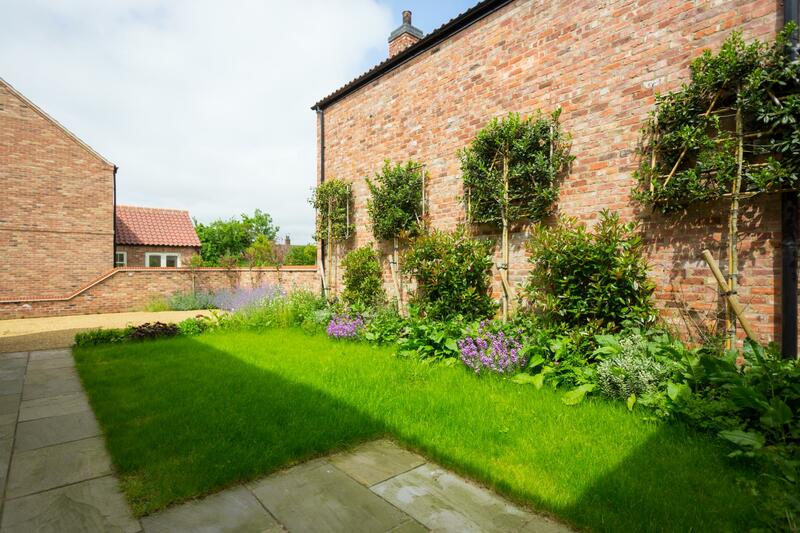 At the rear is a landscaped walled garden with stone flagged patio, 'L' shaped lawn and borders stocked with a variety of flowering plants, shrubs and maturing bushes, water tap. LOCATION Sutton on the Forest lies approximately 9 miles north of York, a pretty former estate village which is still dominated by Sutton Hall at its centre. Many of the houses date from the 1700s and front the wide village street and grassed greens. 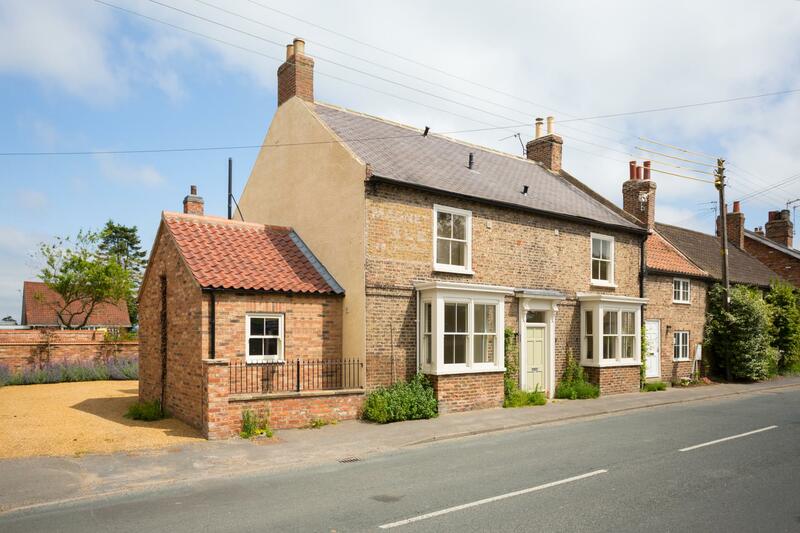 The village has a reputable primary school, a well-established popular preschool play group/toddler group and bus service, with more extensive facilities available within the Georgian market town of Easingwold some 6 miles away. Sutton on the Forest has long been regarded as a particularly sought-after village location. SERVICES Mains Water, Electricity and Drainage with LPG gas fired central heating. DIRECTIONS Proceed to Stillington. On entering the village, turn right signposted Sutton on the Forest. At the roundabout turn right on to the Main Street. 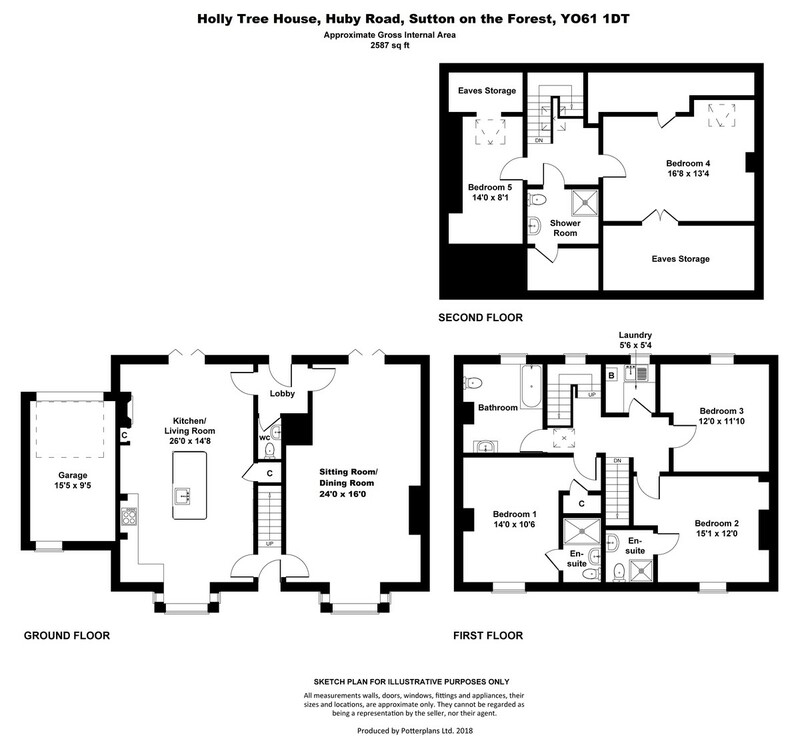 Continue through the village onto Huby Road, whereupon Holly House is positioned on the right-hand side, identified by the Williamsons 'For Sale' board.